Having worked for an elite and established marquee company for many years Ross was eager to branch out alone. 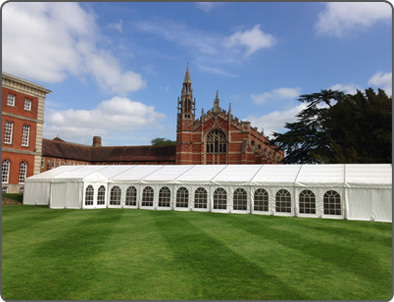 Advanced Marquees began. With quality equipment and a small friendly professional team we pride ourselves on completing our work to a high standard that both we and the client are proud of. 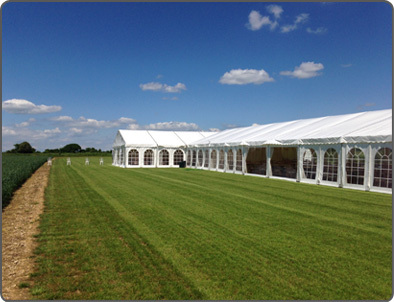 Many Many Thanks Ben & Rachel"
"Dear Ross and all at Advanced Marquees. Thank you so much for the Marquee you provided for our wedding it looked stunning and many people commented on the high standard throughout. Your teams approach was thorough and professional and we will recommend you to as many people as we can. Many thanks once again for a brilliant service. Tom & Sarah"